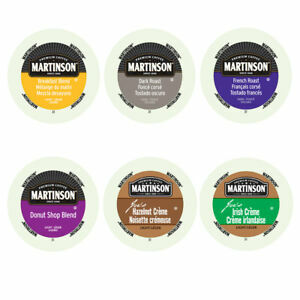 Details about Martinson @ .27 per cup 96 K Cups value Pack! Just Pick Your Roast or Flavor! There are 308 items available. Please enter a number less than or equal to 308. Excellent Transaction! A+++ Third purchase! I'm a returning customer and ways HAPPY! Price was right, but the flavor wasn't great. Very strong and a little off IMO. Seller sent wrong item but issued a prompt refund.